WILLINGBORO, N.J. -- A woman has pleaded guilty to aggravated manslaughter in the death of her husband who authorities said was beaten with a fire extinguisher inside of their New Jersey home. 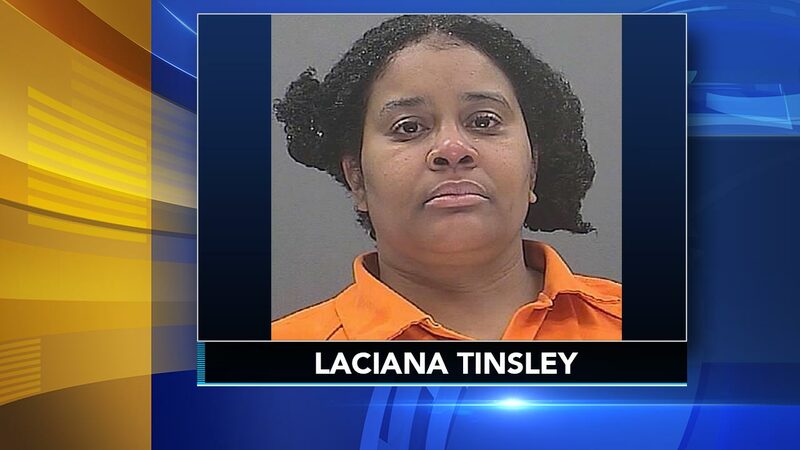 The Burlington County prosecutor's office said 43-year-old Laciana Tinsley faces a 24-year prison sentence as part of a plea agreement. Tinsley said she was acting in self-defense when she hit her 74-year-old husband, Douglas Tinsley, in their Willingboro home in January 2017. She claimed he hit her with a chair and smothered her with a pillow. Authorities said the woman struck her husband in the head multiple times with the fire extinguisher. An autopsy determined he died from blunt head trauma. Sentencing is scheduled for July 20.